A lot of musicians have a tough time hearing what we’re doing in a trio format. Humans are imperfect. That’s one of the reasons that classical and jazz are in trouble. We’re on the quest for the perfect performance and every note has to be right. Man, every note is not right in life. I’m not going to play funk licks on a jazz album. That makes no sense. I suspect that we might actually start selling some records with these artists in about 10 years. Some the people who invested, they’re a little tight-because it’s a lot of money to start up a company. I like to make records sound good. I’m more like a reducer than a producer. If an artist cannot produce themselves, what’s the point? I think that one of the problems that jazz has is that it’s so incestuous that it’s starting to kill itself. I gave up my base in popular culture when I left the Tonight Show. If I were like a lot of other people, then it wouldn’t be fun; but since I’m like me, it’s okay. If you’re going to use standards as criteria for signing musicians, you can sign thousands. If you’re going to use some sort of conceptual interpretation that’s based on the tradition of those standards, but is trying to move away from it, you’re down to about 10 people or so. Jazz fans love Miles and I love him for a myriad of reasons, but the overviews are always too simplistic. That’s kind of like how jazz is sometimes. You’re out there predicting the future, and no one believes you. Pop doesn’t really look back. It can’t. What makes pop work is simplicity. If you listen to a lot of the songs that are popular now, there’s very little melody in there. People love the beat. But to musicians, it’s melody, because we understand how elusive it is and how hard it is to hold. It’s something that jazz has gotten away from, and it’s unfortunate. Players aren’t physical anymore. It’s hard to get into Newsweek because, as more of our former intellectual magazines take on a pop focus, if there’s no buzz, there’s no interest. 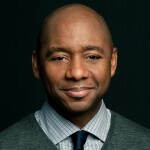 Branford Marsalis was born in Breaux Bridge, Louisiana. He is an American saxophonist, composer and bandleader. While primarily known for his work in jazz as the leader of the Branford Marsalis Quartet, he also performs frequently as a soloist with classical ensembles and has led the group Buckshot LeFonque. Other performances with his brother, including a 1981 Japanese tour with Herbie Hancock, led to the formation of his brother Wynton’s first quintet, where Marsalis shifted his emphasis to soprano and tenor saxophones. He continued to work with Wynton until 1985, a period that also saw the release of his own first recording, Scenes in the City, as well as guest appearances with other artists including Miles Davis and Dizzy Gillespie.